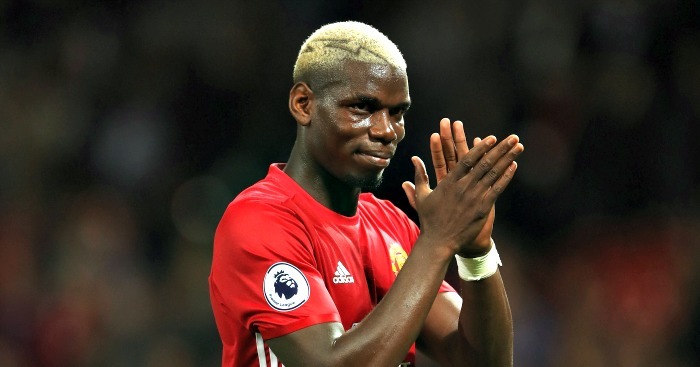 Paul Pogba needs time to adjust to life back at Manchester United, according to his France boss Didier Deschamps. The world’s most expensive footballer has had a mixed start to his second spell at Old Trafford, winning the man-of-the-match award as champions Leicester were beaten 4-1 last month, but missing two clear chances against Stoke at the weekend. Pogba is with France for their upcoming World Cup Qualifiers against Bulgaria and the Netherlands, and Deschamps has thrown a protective arm around his star midfielder. “He has changed his club team and needs to find his bearing with his new team-mates,” Deschamps said. “With Paul, we always expect more. When he does something neutral, often it is not enough. He is someone we expect to make assists in every game – there is an expectation that is too large. Pogba has been paired with Ander Herrera in United’s two most recent Premier League games, and Jose Mourinho spoke at the weekend of his confidence in the partnership. “Ander can be an important player for us,” he said, “because we play with four attacking players plus Paul who likes a lot to go to different positions, to try and create.